Presented at: Cervantes Institute, NYC. This book unveils the fascinating life of Fèlix Bermeu (1901–1977), an unorthodox author of important works, particularly in the realm of cinema. 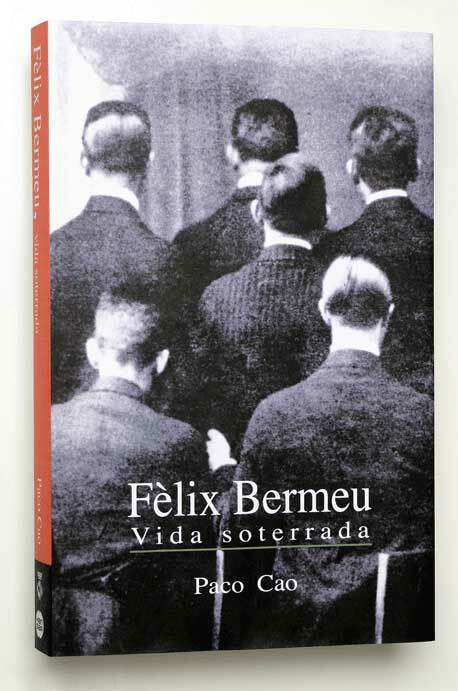 A contemporary of the writers who comprised Spain’s “Generation of 1927,” Bermeu was active in Germany’s booming pre–Nazi-era film industry and fraternized with the great names of the international avant-garde. Forced into exile by the Spanish Civil War, he went first to the Caribbean, where he was drawn into the world of the bolero and allowed himself to be seduced by African-influenced dance traditions. He spent the last thirty years of his life in New York, where he assembled the monumental archive on which this book is based. A contest was held as part of the book presentation at the Cervantes Institute in NYC. 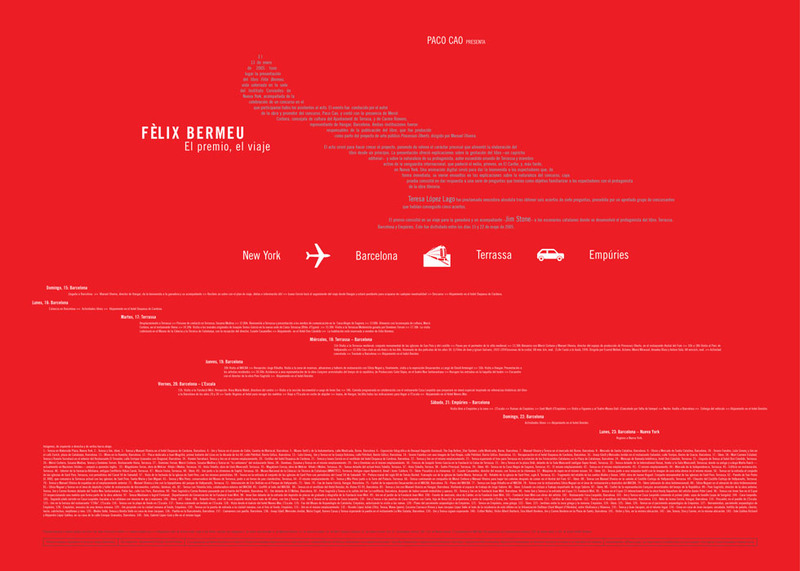 Audience members were invited to fill out a simple questionnaire about Fèlix Bermeu’s life. The questionnaire was designed to give all participants an equal chance to win, even if they knew absolutely nothing about Bermeu. The prize was a trip for two to the areas of Catalonia where Bermeu spent his formative years: Terrassa, the city of his birth; Barcelona, where he became active in the avant-garde; and Empuriès, home to a number of beautiful Greco-Roman ruins. 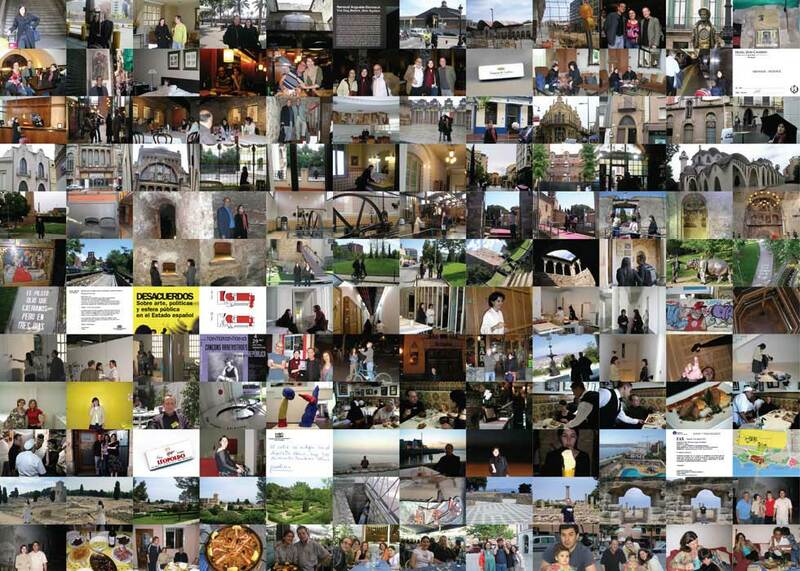 Poster produced to honor the winner of the contest, Teresa López Lago, and to document her trip. Designed by Paco Cao. Essay on Paco Cao by Manuel Olveira included in the book Open Processes, Ajuntament de Terrassa-Hangar, Barcelona, 2004.